Note: If you are ordering within the next 3 hours, 19 minutes , delivery is expected by Monday. This soap stands out not only for its appearance but also for its effective ingredients. Activated charcoal turns it black and ensures a lasting improvement in the appearance of the skin. Dirt, bacteria, pollutants, toxins and sebum deposits can contaminate the skin, but thanks to its absorbent properties, the activated charcoal draws out all impurities. Valuable jojoba and almond oils have a nourishing effect and moisturise the skin, leaving it velvety smooth and healthy. This soap is the best natural detox for oily and even acne-prone skin. 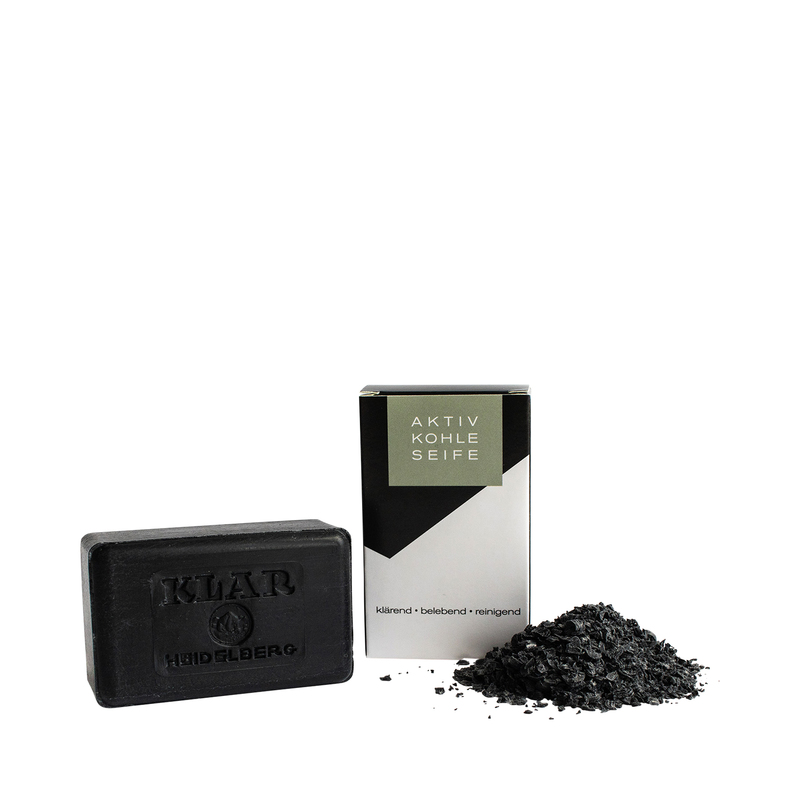 Clean the face and body daily with Klar's activated charcoal soap and after a short time, you will see a clear improvement of your complexion.